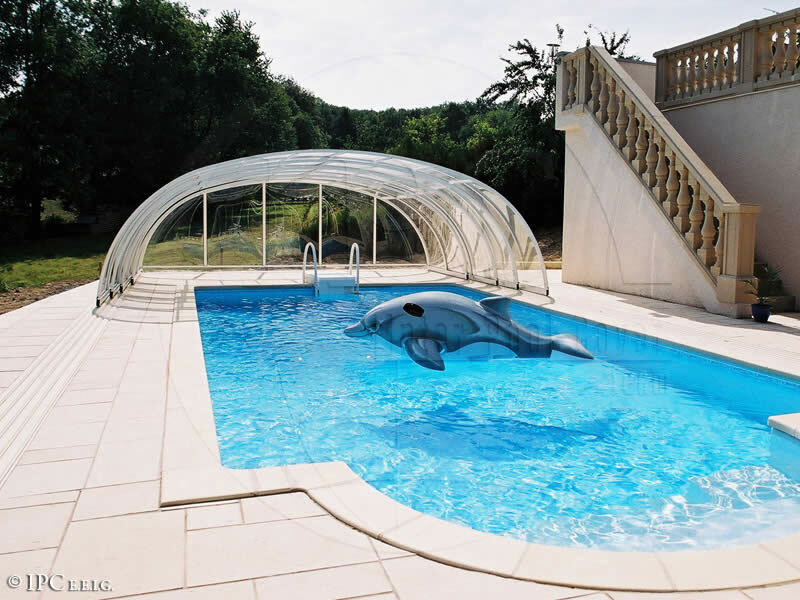 Spacious swimming pool enclosure allows three people to walk in the middle of this enclosures. 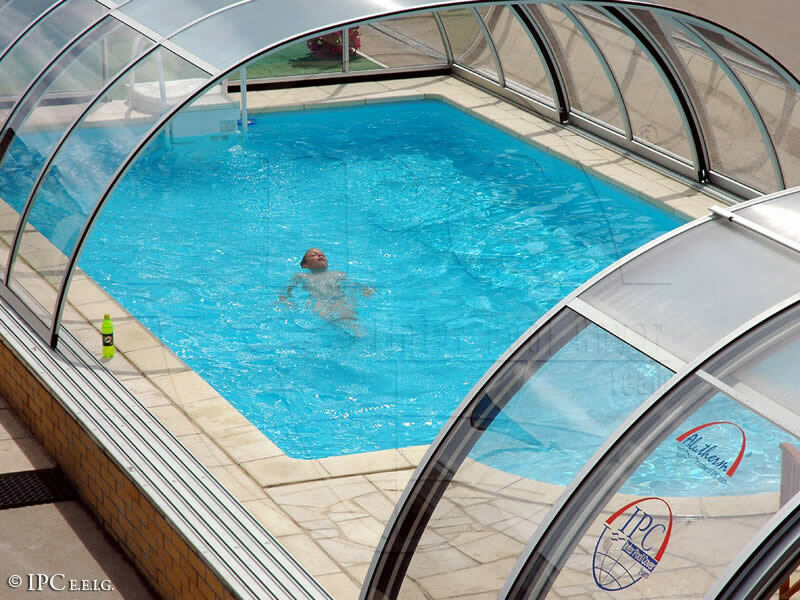 Sides may be also made from compact polycarbonate, which is transparent and you can easily see through it. 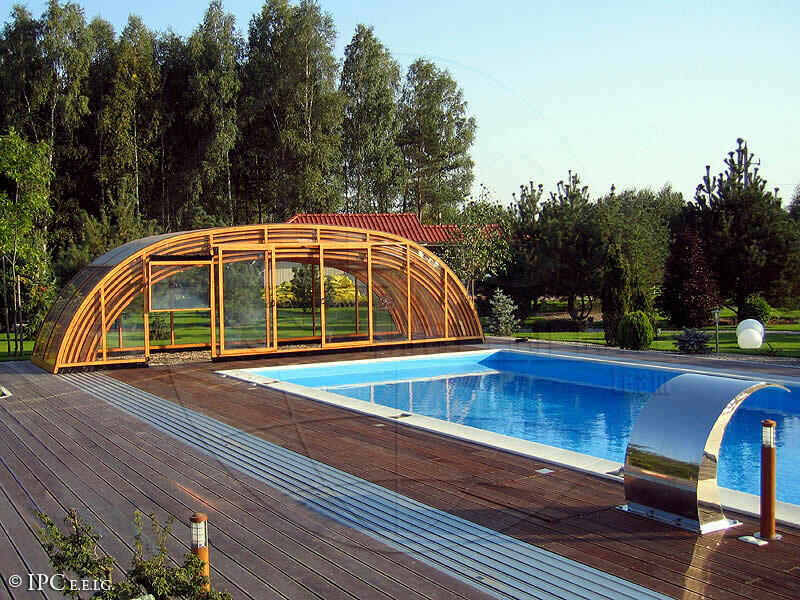 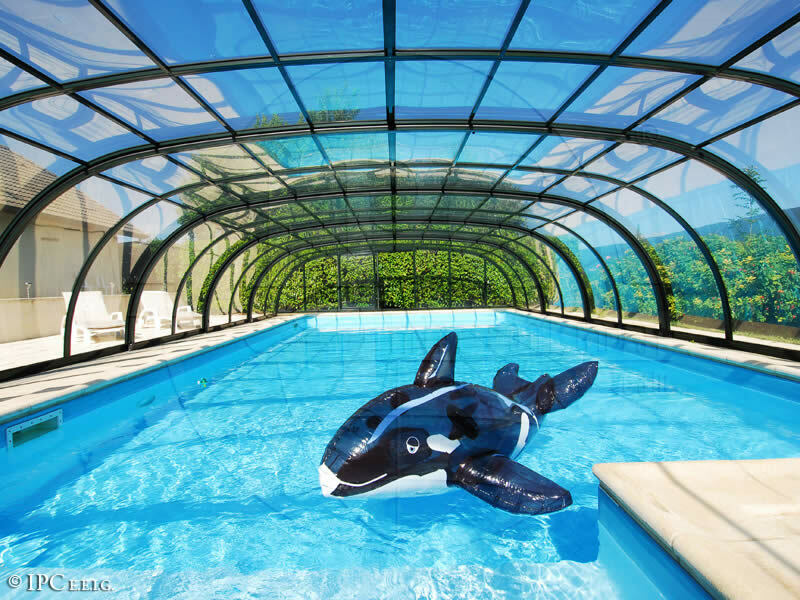 This factor also help your enclosure to fit with nature around the swimming pool. 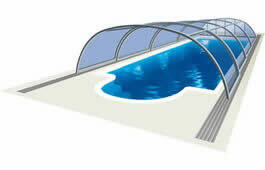 It also helps to see if children run around the swimming pool. 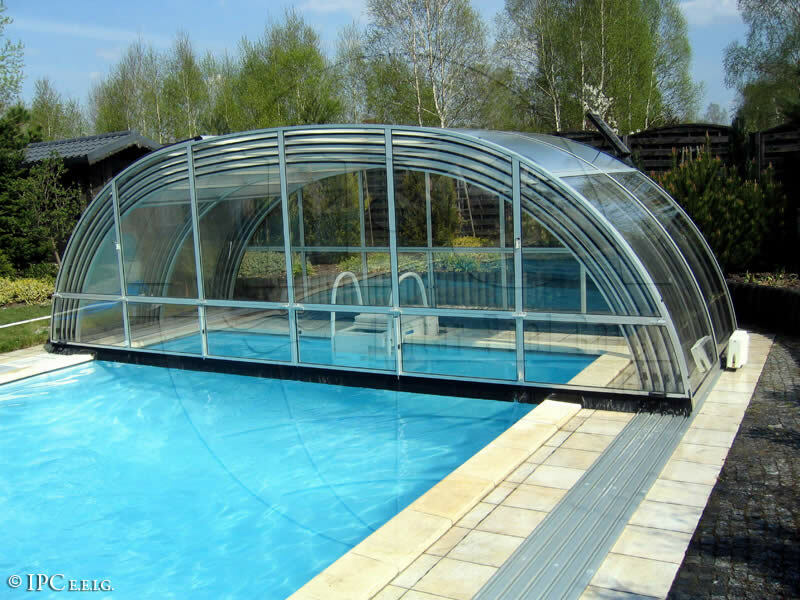 This type of swimming pool enclosure is something between spacious LAGUNA and smaller UNIVERSE.